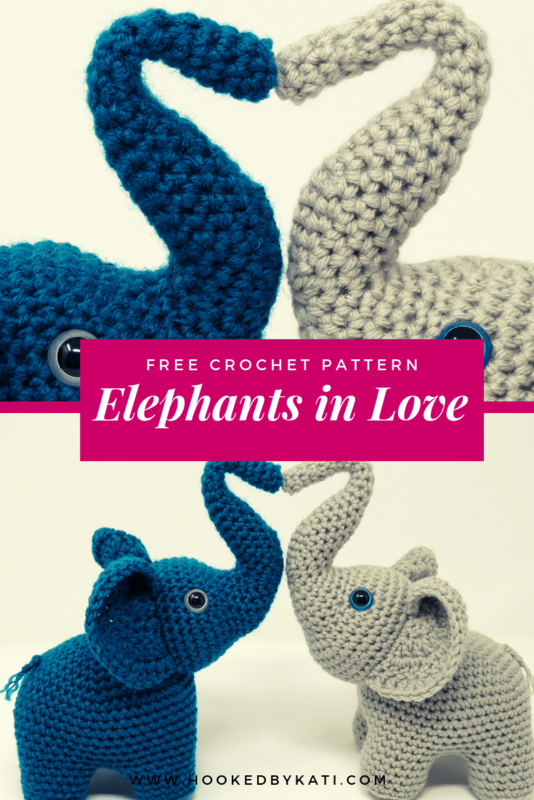 Amitopis is the my new little friend and my latest free crochet pattern. 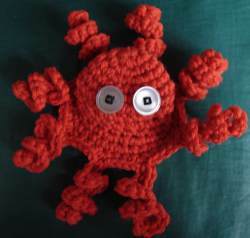 This little Crochet Amigurumi Octopus is simple and easy to make. 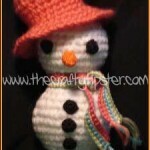 It only uses one color of yarn and the chain and single crochet stitches. 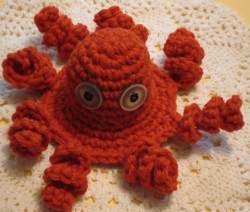 There are two versions of this crochet amigurumi octopus – stuffed and unstuffed. I used buttons for eyes you might want to crochet or embroider your eyes. 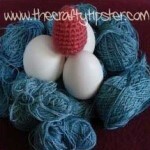 This amigurumi project is also a great stash-buster as it takes only a small amount of yarn to make. So without further adieu, let’s get started. All rows are made without joining in the true crochet Amigurumi style. Row 1: Crochet a 6 stitch circle using the magic circle or other technique but do not join the first and last stitches. Row 2: Starting in the first stitch of your ring, work 2 single crochet in each stitch around the ring for a total of 12 stitches. Row 13: 4 sc around, ch 12, turn, crochet 2sc in 1st stitch from the hook, 3sc in the 2nd stitch from the hook alternating 2 and 3 stitches in each of the chains, single crochet back into the stitch where you originated the chain. Repeat this sequence around your Amitopus until you have the prerequisite 8 legs. End off. I worked the end up to the top of the head and tied a knot with the tail from the original 6-stitch ring. Sew on a pair of 4-hole buttons using 3 strands of black embroidery floss. Sew the buttons on forming a square with your stitches to make the iris of the eye of your amigurumi octopus. On the backside, vary your stitches to provide maximum hold. Be sure to make an even amount of stitches on each side of your square and try to limit splitting the threads. Don’t worry about neatness on the “inside” because the stitches on the back side will be hidden. 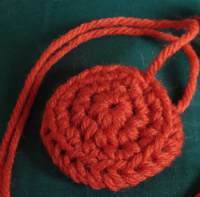 For a different look, you might want to crochet two small circles, use two beads or two pieces of felt for your eyes. As I began sewing on my Amitopus’ eyes, I thought he looked quite cute with his head kinda squished and hollow. If you have seen a live octopus in motion, their body seems almost hollow as it moves along in the water. I would recommend waiting until the eyes are on to decide whether or not you want to stuff your amigurumi. 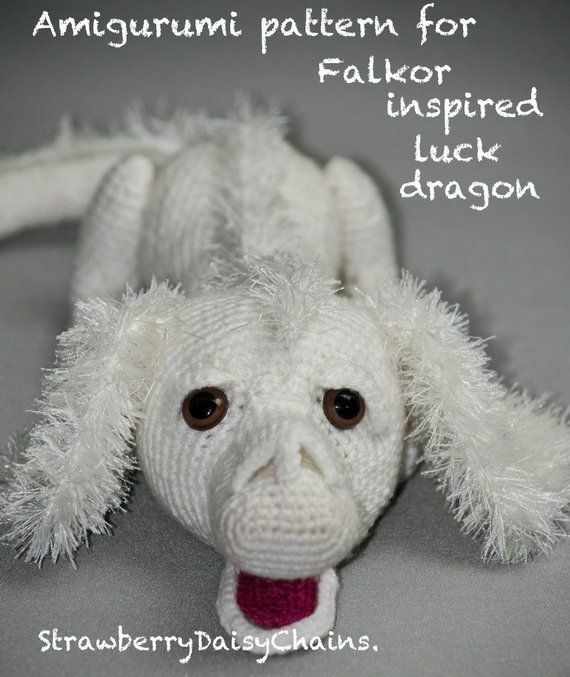 For those of you who wish to stuff your new crochet pet, those instructions follow. 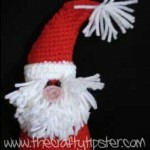 You will have to create a plug of sorts for the bottom of your critter to hold the stuffing in. Leave exceptionally long tails on both circles, mine were about 24 inches long. 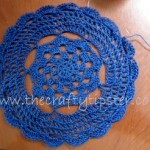 Place the crochet circles back to back and slightly skewed. 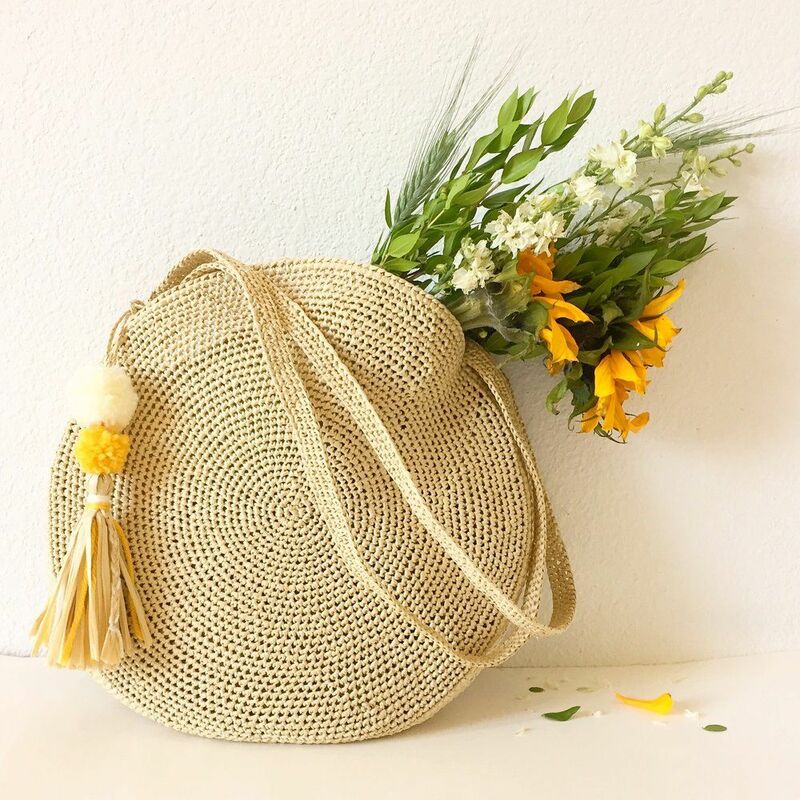 The idea is to ensure that the gaps in your stitches do not overlap making a place for the stuffing to escape or be noticeable. Take one of the long ends and pull it through 3 of the loops of the four on the edge of the pair of crochet circles. The way I found this to be a bit easier was to insert my hook into the back loop of the circle edge on top and through both loops on the second circle. Weave the tail all the way around your circle pair creating something that looks like the picture. It should look roughly like one of those creme filled cookies after you twist off the top cookie. By using the two circle sandwich and joining it only using three of the loops, you will have a stronger base and one that will fit more flatly into the bottom. Using the long tails from your circles, attach the base/plug to your Amitopus by weaving the yarn with a crochet hook through those stitches you did not use (the cream of the cookie) when joining the circles and the body of your octopus. The first few stitches will be cumbersome and tricky to maneuver but it’s worth the fussiness to make your crochet octopus sit nicely on a flat surface. 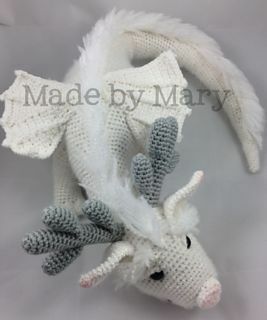 Please let me know what you think of this pattern and I’d love to include pictures of your Amigurumi octopus in this post. Cute stuff. My kids are going to love them.